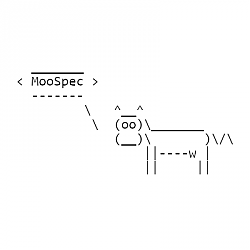 MooSpec-1.0 is a library that provides information about player specializations and roles. MooSpec-1.0 can also inspect player units that are outside of the group as long as they have a valid unit ID. Returns the assigned role for the GUID in a group formed via the Dungeon Finder, or the role manually assigned in a raid group. blizzardRole - string: "TANK", "HEALER", "DAMAGER", "NONE"
Returns the class for the GUID. Returns the role for the GUID as determined by class and specialization. This differentiates between melee and ranged DPS specializations. role - string: "tank", "healer", "melee", "ranged", "none"
Returns the specialization for the GUID. name - string: the name of the specialization, e.g., "blood", "protection", "arcane", etc. Returns the name of the specialization by ID. Queue a unit for asynchronous update of its specialization and role. unit - string: unit ID, e.g., "player", "target", "raid15", etc. Queue each member of the group for asynchronous update of their specialization and role. MooSpec-1.0 provides the following callbacks to notify interested addons. Fires when the assigned role in a group formed via the Dungeon Finder or the role manually assigned in a raid group is changed. Fires when the class for a unit has been resolved. Fires when the role of a unit as determined by its class and specialization has changed. Fires when the specialization of a unit has changed. 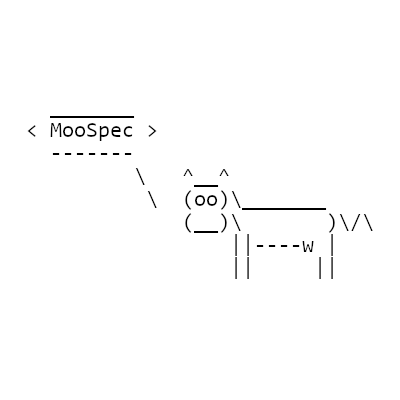 MooSpec-1.0 is released under the 2-clause BSD license. Bump minor version to 9 for release. Set a default role when calling :GetRole() if role hasn't been set.